As obesity levels rise, pharmacists are finding they need new tools to ensure they adequately tailor the amount of medicine patients receive. The decision to try recombinant human growth hormone (rhGH) to boost a child’s height is not taken lightly. The hormone is potent and expensive, and must be delivered before puberty cuts off the body’s capacity to respond. Yet because quality of life has been proven to correlate strongly with a person’s adult height, families are compelled to try it. This means getting the dose and timing exactly right within a narrow window. But this already delicate situation has been complicated further. Obesity rates are soaring in children and adults alike, bringing with them a raft of physiological changes that alter drug response. Up to 20% of children and 26% of adults in England are obese, and with greater body mass comes uncertainty about how obese bodies will handle different drugs. “There’s a number of nuances that make [dosing] tricky, but obesity is the change — the more fat children we have, the trickier it gets,” says Daniel Hawcutt, a paediatric pharmacist at the University of Liverpool. Hawcutt studied the effects of growth hormone, dosed on total body weight, in obese and non-obese children. The results are startling: underweight children were not getting enough rhGH, and obese children were getting more than enough. The obese children had maxed out their growth and had also acquired a worrying increase in insulin-like growth factor-1, a signal of cardiovascular stress. Basing doses on a child’s ideal body weight could potentially fix the situation and save a lot of money, Hawcutt says. The same uncertainty surrounds common drugs, such as ibuprofen. If parents follow the guidelines on the back of an ibuprofen packet, they dose according to a child’s age, which may leave an obese seven-year-old without pain relief. This could lead to a parent or carer administering more doses, which will pose a higher risk of kidney damage. The extent to which this is playing out is unclear. With rising levels of obesity, pharmacists find themselves in a quandary. Sur fat tissue triggers a spectrum of changes that impact drug metabolism and action. Depending on the drug — and they are all different — this can lead to the underdosing or overdosing of an obese patient. Yet obese people are typically excluded from clinical trials, and drug labels are nearly silent on obesity, meaning pharmacists are having to scrape together information in a piecemeal fashion through anecdotes, literature searches and small studies. Some are turning to computer simulations to predict drug behaviour in obese patients, which presents another opportunity to individualise drug therapy. “If you’re thinking about dose optimisation at an individual level, you need to think about that individual’s phenotype. Obesity is one of many phenotypes, and for some people it might be a key factor, but in other people it might not be,” Hawcutt says. Over the past 40 years, obesity — defined as a body mass index of 30 or more — has become commonplace. In 2014, for the first time obese adults outnumbered underweight adults worldwide: obesity prevalence swelled to 10.8% in men and 14.9% in women, compared with underweight prevalence of 8.8% in men and 9.7% in women. Yet for many approved drugs, no specific guidance for treating those with obesity appears on the label. Clinical trials of experimental drugs largely exclude obese people, opting for subjects who weigh closer to an outdated standard of 70kg. The stakes of getting the doses right are high. For example, according to one study, obese women are more likely to become pregnant than non-obese women after taking the emergency contraception pill Levonelle. Giving more drug to a heavier person makes initial sense, but obesity’s effects extend beyond body weight. Physiological processes relevant to how a drug is broken down and absorbed change: gut permeability and gastric emptying increases; cardiac output increases; blood flow in the liver may increase, cytochrome P450 enzymes critical to drug breakdown change, as do some drug transporters. Further complicating this, each drug has its own chemical properties, such as lipid solubility, that affect its behaviour in an obese body. For figuring out an initial dose, understanding how the drug diffuses in the body — its volume of distribution — is essential. But, obesity throws a question mark over this. In theory, lipophilic drugs will readily diffuse into fat tissue, which would call for dosing based on total body weight for an obese person because their extra weight is largely fat. This is true for some drugs, such as diazepam, but not for others, including propofol and digoxin, which do not diffuse as extensively as expected. Likewise, if water-soluble compounds remain confined to the aqueous parts of the body, then dosage should be based on ideal body weight. While this is true for ranitidine, a well-known exception is the antibiotic vancomycin, which has a volume of distribution that increases steeply with total body weight. This means that vancomycin ought to be dosed according to total body weight, but in obese people this leads to worryingly high doses that risk kidney damage. “You cannot base your predictions on one characteristic of a drug,” says Trevor Johnson, a principal scientist and former pharmacist now working at Certara UK Limited (Simcyp division) in Sheffield, which develops technology for understanding drug action in different populations, including obese people. Other drug chemistry properties such as ionization, blood-to-plasma ratio and protein binding must also be taken into account, and combined with the physiological changes in obesity, he says. To figure out a maintenance dose, pharmacists focus on the body’s ability to clear the drug. Since liver function is altered in obesity, drug clearance will be altered too. For example, Greenblatt and colleagues have found that the antidepressant vortioxetine takes a longer time to wash out in obese people than in normal weight controls. As people often have to switch antidepressants before finding one that works for them, this is important to know for timing the start of a new medicine. “On the drug product label, there’s nothing said about that,” Greenblatt says. But the complications associated with obesity reach beyond dosing. Comorbidities, such as diabetes or hypertension, often accompany obesity and pharmacists regularly balance treatments for different conditions such as these. However, there are situations in which a drug’s effect may be dangerously amplified in obesity. For example, obstructive sleep apnoea — a condition associated with obesity — may shift dangerously toward respiratory failure with sedatives such as opioids or benzodiazepines on board. In addition, the effectiveness of some drugs may be fundamentally altered in obesity. Such pharmacodynamic changes are not as well understood as the pharmacokinetic ones, but they may explain differences in drug response between obese and normal weight subjects who receive equivalent doses. One idea is that obesity undercuts the immune system: fat cells secrete factors such as leptin, which decrease macrophage and T cell activity. Such changes may explain the worse outcomes found for obese patients infected with H1N1 influenza, or their longer duration of shedding influenza A virus, compared with non-obese patients. Other studies have suggested that obesity impairs vaccine response. For example, obese people who had been vaccinated against influenza were twice as likely to contract the flu compared to non-obese people, despite reaching sufficient antibody titers. Some pharmacists have stepped in to fill in the obesity-related blanks, compiling their own compendiums of dosing guidelines. Alan Timmins and colleagues turned advice that had been shared in an informal email group into . “It became quite a regular occurrence to be asking about dosing for obese patients,” says Timmins, who is the lead clinical pharmacist at Victoria Hospital in Kirkcaldy, Scotland. Having readily accessible information is especially important in a critical care environment. “There you don’t always have the time to increase doses if a drug doesn’t seem to be working. You need to get it right from the start,” he says. Similar collections have been pulled together for anaesthetic agents by the and for antibiotics by . Even when there are data, however, consistent guidance may not emerge. For example, for aminoglycoside antibiotics such as gentamicin, the UKMi document recommends dosing on an adjusted body weight that takes into account 40% of a person’s excess weight. But for other classes, such as beta-lactams and quinolones, which include cefazolin and ciprofloxacin, each drug has its own idiosyncratic guidance, some firmer than others. This makes it important to monitor drug levels after an initial dose. This hotchpotch may one day be completed with the help of computer simulations, known as ‘in silico’ modelling. Physiologically based pharmacokinetic (PBPK) models incorporate both the biochemical properties of drugs and physiological properties of patients to predict drug pharmacokinetics (see Figure 1). Although typically used to inform dosages of experimental drugs in the early stages of clinical trials, the models can also be used to predict the behaviour of approved drugs in special populations, including obese people. In 2008, at the request of a consortium of pharmaceutical companies, Johnson and colleagues adapted their PBPK model, called ‘Simcyp’, to develop specific populations for obesity. With rising obesity comes an increase in the incidence of bariatric surgery for weight loss, which PBPK models can also simulate. The surgery excises part of the stomach and sometimes also part of the small intestine, thus drastically decreasing the amount a person can eat, resulting in weight loss. The permanently shortened gastrointestinal tract can alter drug absorption, however, which means bariatric surgery patients should be given special consideration, even if they have reached a healthy weight. For example, clearance of midazolam was nearly twice as high in patients one year after bariatric surgery compared with their pre-surgery clearance, likely owing to increased enzyme activity. Their clearance was also higher than that found in people who had never been obese, suggesting that a post-bariatric surgery patient would need a higher dose than typically given. Johnson and colleagues have also developed a model to simulate drug absorption before and after bariatric surgery. Ultimately, in silico simulations could help create dosing recommendations for approved drugs in obese and in post-bariatric surgery populations. Hawcutt D, Bellis J, Price V et al. Growth hormone prescribing and initial BMI SDS: Increased biochemical adverse effects and costs in obese children without additional gain in height. PLoS One 2017;12(7):e0181567. Festin MPR, Peregoudov A, Seuc A et al. Effect of BMI and body weight on pregnancy rates with LNG as emergency contraception: analysis of four WHO HRP studies. Contraception 2017;95(1):50–54. Smit C, De Hoogd S, Bruggemann RJM & Knibbe CAJ. 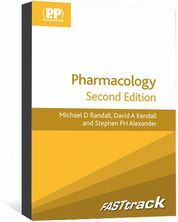 Obesity and drug pharmacology: a review of the influence of obesity on pharmacokinetic and pharmacodynamic parameters. Expert Opin Drug Metab Toxicol 2018;14(3):275–285. Abernethy DR, Greenblatt DJ & Smith TW. Digoxin disposition in obesity: clinical pharmacokinetic investigation. Am Heart J 1981;102(4):740–744. Greenblatt DJ, Harmatz JS & Chow CR. Vortioxetine disposition in obesity: potential implications for patient safety. J Clin Psychopharmacol 2018;38(3):172–179. Jullian-Desayes I, Revol B, Chareyre E et al. Impact of concomitant medications on obstructive sleep apnoea. 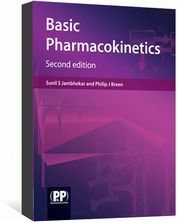 Br J Clin Pharmacol 2017;83(4):688–708. Huttunen R & Syrjänen J. Obesity and the risk and outcome of infection.Int J Obes (Lond) 2013;37:333–340. Van Kerkhove MD, Vandemaele KAH, Shinde V et al. Risk factors for severe outcomes following 2009 influenza A (H1N1) infection: a global pooled analysis. PLoS Medicine 2011;8(7):e1001053. Maier HE, Lopez R, Sanchez N et al. Obesity increases the duration of influenza A virus shedding in adults. J Infect Dis 2018;218(9):1378–1382. Neidich SD, Green WD, Rebeles J et al. Increased risk of influenza among vaccinated adults who are obese. Int J Obes (Lond) 2017;41(9):1324–1330. Ghobadi C, Johnson TN, Aarabi M et al. Application of a systems approach to the bottom-up assessment of pharmacokinetics in obese patients. 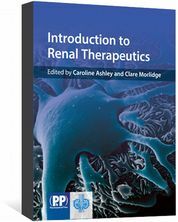 Clin Pharmacokinet 2011;50(12):809–822. Brill MJ, van Rongen A, van Dongen EPet al. The pharmacokinetics of the CYP3A substrate midazolam in morbidly obese patients before and one year after bariatric surgery. Pharm Res 2015;32(12):3927–3936. Darwich AS, Pade D, Rowland-Yeo K et al. Evaluation of an in silico PBPK post-bariatric surgery model through simulating oral drug bioavailability of atorvastatin and cyclosporine. 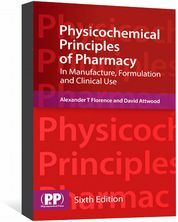 CPT Pharmacometrics Syst Pharmacol 2013;2(6):1–9. Great article. With the increasing rates of obesity in children, dosing of paracetamol in children is another conundrum. In an obese child do we use actual body weight or play safe and use IBW ? At the moment, until we know more I favour the latter but there are other opinions out there. 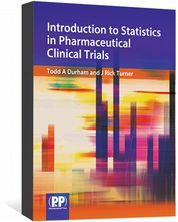 An innovative book which presents statistics in the context of clinical trials conducted during pharmaceutical drug development.